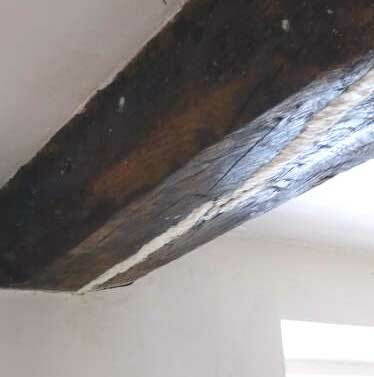 Repair wood beams using our Epoxy Resins and connection bars - full structural strength restored, Engineering Calculation Service available. 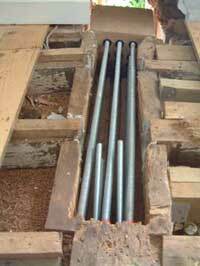 Rotted beams can have new ends or mid sections made by us as Timber-Resin Splice Kits, or you can buy the resins and bars separately to make your own repairs. No need to scrap good beams, no need for extensive buildings works or opening up. 1. Grind or chisel out all loose wood, vacuum out the dust. 2. Using a Mixing Paddle in an Electric Drilling Machine mix the 3 resin parts thoroughly in the bucket provided. 3. Pour the Structural Epoxy Pouring Resin into the hole. It will gradually self-level. Pouring Structural Epoxy Resin and Grout - 7.5 litres and 1 litre. 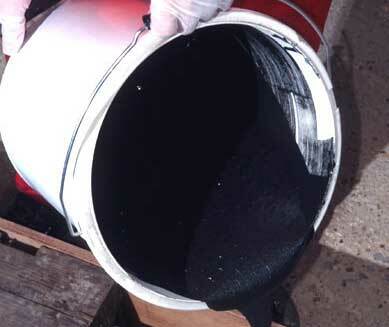 A three part epoxy structural repair material, supplied as two liquids and separate aggregate, in a large plastic mixing tub. Designed for pouring into holes and voids in timber and concrete. Ideal for pouring over Epoxy/Glass, Carbon Fibre and Steel Bars and plates, as part of a repair to reinforce a damaged wooden beam. Also used for Bearing Pads and Mountings, to repair or renew wooden bases or supports. Structural Epoxy Pouring Grout in 7.5 litre pack size. 1. Grind or cut out the crack to make a clean slot at least 15mm wide and 15mm deep. 2. Remove all dust by brush or vacuum. 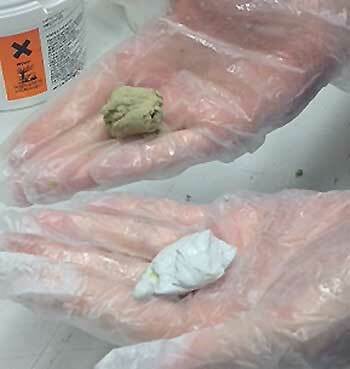 Two part Mouldable Epoxy Putty. Mixing in the gloved hand - wetting hands helps. General principle - cut out the cracks with a saw, router, masonry grinder, or Allsaw (a superb slot cutting machine, available from Hire Shops), to form square edged slots, and remove all dust and debris. Avoid 'V' shaped slots - the repair will be much weaker. Repair Thickness - the more material that we can put into the repair, in terms of width and depth, the better it will be able to accommodate natural movements caused by changing temperatures and therefore the better it will last. Caution - Always consult a Structural Engineer and the building's Insurers before proceeding. Fine to medium cracks - hairline to 15mm wide. 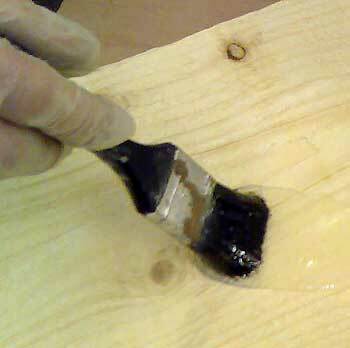 Apply Epoxy Primer liquid by brush and whilst tacky lay in the putty-like repair mortar, Mouldable Epoxy Putty. Epoxy Primer - available in 500cc, 1 litre and 5 litre, two pot, liquids. 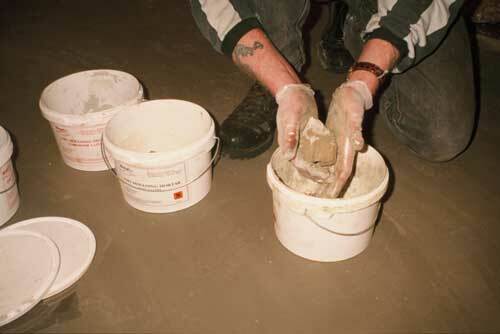 Mouldable Epoxy Putty - available in 500cc and 1 litre, two pot, putties. 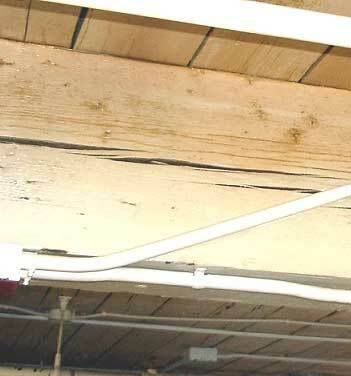 Split in a principal roof rafter timber. Rot in a multi part timber roof frame. Rot in a timber fireplace Lintol. Centre split, called a 'shake', caused by drying out. Centre crack filled with Mouldable Epoxy Putty. General principle - cut out the cracks with a saw, Router, masonry grinder, or Allsaw, to form square edged slots, and remove all dust and debris. Avoid V shaped slots - the repair will be much weaker. Repair Thickness - the more material that we can put in to the repair, in terms of width and depth, the better it will be able to accommodate natural movements caused by changing temperatures and therefore the better it will last. Epoxy Primer - available in 500cc and 1 litre, two pot, liquids. Vimto Bottle neck awaiting filling. Close up photo of the Vimto Bottle top showing splits and cracks. 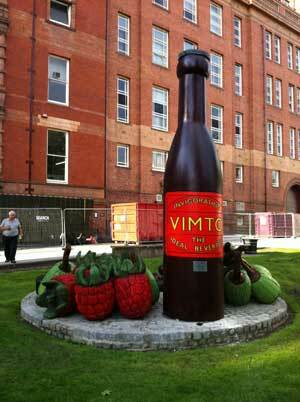 Vimto Bottle fully restored and back on display. 1. 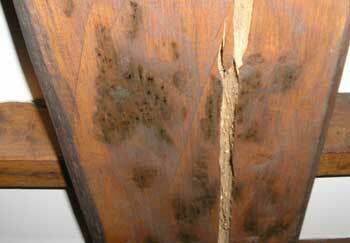 Clean the crack using either a sharp, pointed tool, grinding wheel, cutting disc, Allsaw or rotary saw. Crack in a rendered wall before cleaning. 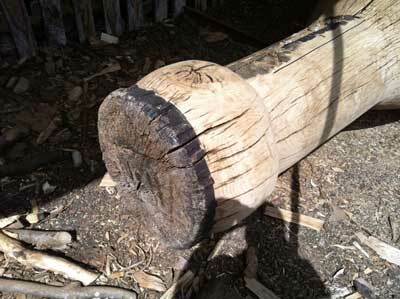 Splits or 'shakes' in a timber beam. Slot cut out wide, ready for filling. or Epoxy Primer (runny) without needles, pushed into 4mm holes at 50mm centres. For Voids you can Inject Polyurethane Liquid - using Syringes, no needles. 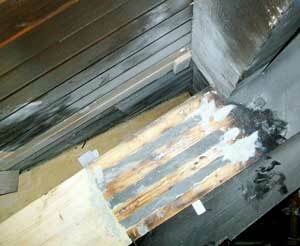 The Polyurethane reacts with moisture in the timber, expands rapidly and sets within 5 to 15 minutes. 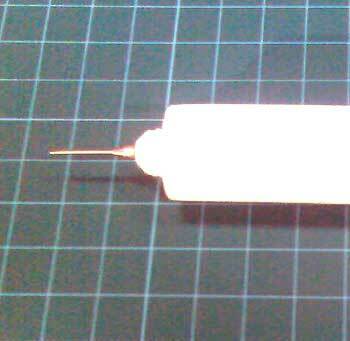 Needle fitted to 400cc Cartridge - use Thixotropic Epoxy Slow Set (non slump). 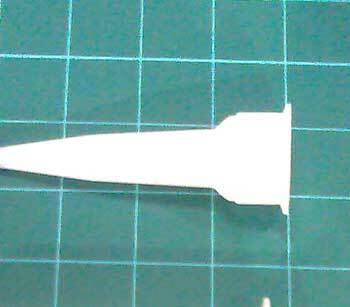 Standard pointed nozzle - tapers, cut to suit hole. Standard 400cc tube. Injecting a slot behind a plastic cover. General principle - where possible, for the strongest repair, cut out the cracks with a saw, Router, masonry grinder, or Allsaw, to form square edged slots, and remove all dust and debris. Avoid V shaped slots - the repair will be much weaker. Caution - Always consult a Structural Engineer and the building's Insurers before proceeding. It is important to establish and eliminate the underlying cause of the cracking before Injection, otherwise further cracks are sure to appear. Tell Tales - install our Tell Tail plastic crack movement measuring units and monitor for 3 months, if you are not sure that movement has ceased. 2. 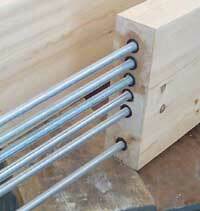 Cut slots into the top of the timber to hold the reinforcing bars. Pouring Structural Epoxy Resin and Grout - a finished job, showing filled slots. Cracked roof rafter - broken. Designed for pouring into holes and voids in timber and concrete. Ideal for use with Epoxy/Glass, Carbon and Steel bars and plates, as part of a composite, reinforced repair structure. 1. 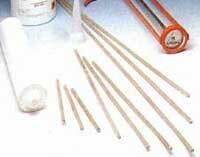 Epoxy/glassfibre rods - easy to cut with a hacksaw - buy by the 1 metre length, or we cut to length. 3. Stainless Steel Allthreaded High Tensile Steel Bars - buy by the 1 metre length, or we cut to length - can be coupled. 4. Helical Stainless Steel Bars - buy by the 1 metre or 7 metre length, or we cut to length. Examples of Zinc Plated High Tensile Allthread Bar in use. EPOXY-GLASSFIBRE BARS - Smooth Finish - as extensively tested and proven over the last 20 years, these bars feature in the long term evaluation carried out in the UK and Europe, which has resulted in the development of EUROCODE 5, a design and specification handbook for the use of resins in composite repairs in buildings (price, £15). They can be ordered cut to length. They can be use to tie and link timbers and masonry. 1. Vacuum out the dust. 2. 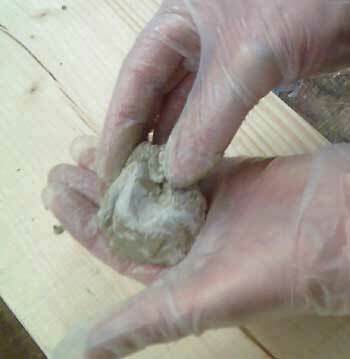 Using a Mixing Paddle in an Electric Drilling Machine mix the 2 resin parts thoroughly in the tub provided. 3. Transfer the mixture to another tub and re-mix, taking particular care to remove all the resin from the walls and base of the first tub. 3. Pour the Epoxy Primer/Consolidator onto the wood. 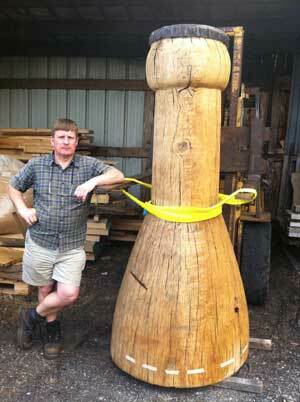 It will gradually self-level and soak in, hardening the timber and filling the holes. 4. 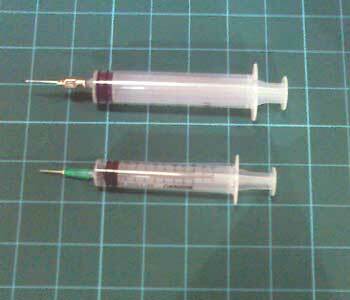 Additional methods - by Injection using a Syringe. Grind or chisel out all loose wood, vacuum out the dust. Clean all the masonry and sub site to remove all fungus, wood and paper. 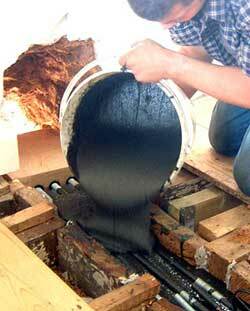 Using a Mixing Paddle in an Electric Drilling Machine mix the 3 resin parts thoroughly in the bucket provided. Pour the Structural Epoxy Pouring Resin into the hole. It will gradually self-level. Allow to harden before treatment. 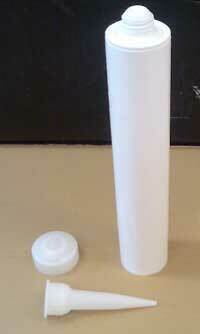 If possible slightly lift any bearing ends and insert a piece of damp proof plastic or plastic packing wedges. Drill and inject Boron Paste into all timber that is visibly damp or has a moisture content above 18% WME on the Timber Scale. Treat all affected masonry and timber at least 300mm past signs of decay and Meter Readings above 18% WME on the Timber Scale. Treat all accessible end grain and damp areas with Boron Gel by brush. Check and clean air bricks and ventilators. 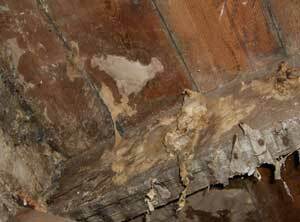 Dry rot under a floor, prior to cleaning.